ServiceMaster DAK Enterprises is one of the oldest of the ServiceMaster Clean franchised businesses in the Chicago suburbs. It was established in 1975 by the two owners Dean and Eileen Knox, serving Wilmette, IL 60091 and the North Shore and Northwest suburbs of the city of Chicago. 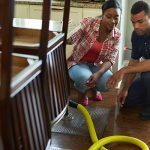 ServiceMaster DAK Enterprises specializes in water damage cleanup and can respond quickly to your emergencies in Chicago’s North Shore and Northwest suburbs in Illinois. Backed by years of experience and one of the largest operations in Wilmette IL 60091, ServiceMaster DAK Enterprises team is ready to help. 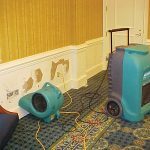 Indoor flooding is one of the most damaging disasters that can occur in a home or building because it has the potential to cause significant structural damage and trigger mold growth. Indoor flooding may be caused by natural floods, heavy rain, burst pipes, plumbing leaks, or overflows and the water will quickly find its way into absorbent building materials like wood, drywall, and insulation. ServiceMaster DAK provides flood damage restoration and cleanup services for affected homes and buildings in Wilmette, IL. You can trust our technicians to extract the flood water and restore the damage caused by the flooding. ServiceMaster DAK Enterprises fire damage restoration specialists are ready to handle emergencies in Wilmette IL 60091 and Northwest Chicagoland suburbs 24/7, helping to restore your life to normal as soon as possible. With our years of experience, we know that quick fire clean up can minimize your losses after the fire gets extinguished. ServiceMaster DAK Enterprises provides carpet and upholstery cleaning service in Wilmette IL 60091 and throughout the North Shore and Northwest suburbs of Chicago. Our carpet cleaning service includes pre-treating spots, professionally steam extracting the entire area moving most furniture, and returning it to its original position. Our staff includes IAQA Certified Mold Remediators (CMRs). 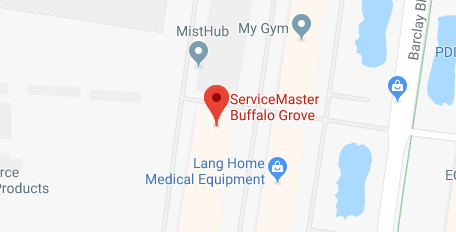 As part of the ServiceMaster Clean nationwide franchise network, we’re your link to ServiceMaster mold remediation services in Wilmette IL 60091 and throughout the North Shore and Northwest suburbs of Chicago. Much has been learned about hoarding and the associated behaviors in recent years which has led to more effective services for helping those that struggle. 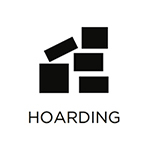 Hoarding is a mental disorder that stems from more complicated anxiety issues and the associated behaviors can create dangerous and unsanitary living conditions in a home. ServiceMaster DAK provides hoarding cleaning services in Wilmette, IL to help clean and restore the homes of those that hoard. We treat the affected individuals with compassion and respect and make sure they have final say on what objects are kept and disposed of during the cleaning process. The carpet has a major effect on the appearance of your home and the foot traffic it experiences on a daily basis causes dirt and debris to accumulate in the fibers which affects the look of the carpet. Dirt, dust, and other debris accumulate too deep in the fibers to be removed with a vacuum and it can cause discoloration and deterioration that will shorten the life of the carpet. 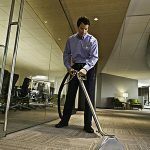 ServiceMaster DAK provides carpet cleaning services in Wilmette, IL to thoroughly clean and restore dirty or worn out carpeting. Our cleaning methods will completely remove embedded debris from all carpet types and we also have cleaning products that are effective for removing stains. The furniture is a major factor in the comfort level of a home and when the upholstery of your furniture becomes dirty or stained, it can take away from its comfort as well as its appearance. 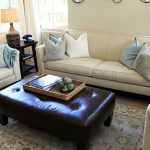 Dirt and debris become embedded in upholstery fabric with repeated use and the direct contact of someone using the furniture can actually cause some debris to become abrasive against the surface and wear out the fabric. 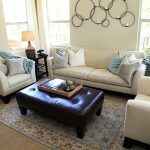 ServiceMaster DAK provides upholstery cleaning services in Wilmette, IL to clean and restore all types of furniture upholstery. Our advanced cleaning products will remove dirt and stains to drastically improve the look of your furniture. 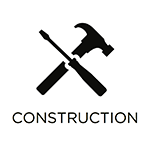 Construction projects are always intense and often leave the site in hazardous condition as tools, building materials, dirt, and dust are commonly left behind. The building materials and other debris spread throughout the area can make it dangerous to walk through and the leftover dust can settle throughout the home and cause respiratory issues. ServiceMaster DAK provides post construction cleaning services to clean up construction sites in Wilmette, IL. Our technicians will make sure all dirt, dust, and other debris are removed so you can safely use the area. Keeping your home cleaned on a consistent basis will provide a comfortable and healthy living environment while also maintaining your home’s appearance. 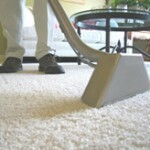 However, it can be difficult for some to find the time to keep their home effectively cleaned. ServiceMaster DAK provides residential cleaning services to help homeowners in Wilmette, IL keep their homes clean. We offer a range of residential cleaning services to cover the entire house as well as an option for regularly scheduled cleaning services.